I guess is yes! Are you really thinking of going into vegetable cultivation? For what purpose; subsistence or profit? Notwithstanding, you need to acquire knowledge, skill and possibly training to get into the world of vegetables. First, you need to answer the question; which type of vegetables? Which seed types: Local varieties, improved open pollinated varieties OP or hybrids? At the same time, you need to consider if the vegetable type suits your agro-climatic condition. 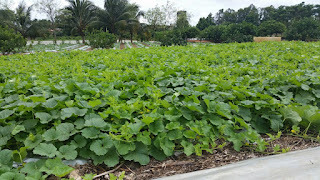 for some few vegetables, all vegetables thrive well under these climatic conditions with Good Agronomic Practices GAP. 1. WHICH VEGETABLE TYPES? Vegetables are divided into many plant families. This knowledge is unnecessary but for those that are interested in thriving vegetable farms, Crop Rotation CR is essential to keep diseases builds up under control. To practice CR, then you need to have an idea of vegetable families. Let’s take a look at some common families common to Nigeria and other tropical countries. 2. WHICH TYPE OF SEEDS? There are basically three classes of seeds. Local seeds: These are indigenous seeds that are common to your region. It varies from location to another. In South-West Nigeria, you have Kerewa, Eponagbo, Alabo, Igede type etc. These varieties are characterized with low yield, high moisture content , no shelf life, poor disease resistance etc.. Hybrid seeds: These are seeds that result from controlled pollination involving at least two parental lines. Don’t mind the biological slogan. These are seeds that have been worked on to improve their resistance to diseases, increase yield, and improve shelf life among other qualities. Just like a marriage between a tall woman and a dwarf man would most likely produce an in-between. In addition, there are two types of hybrid of tomato; Determinate and Indeterminate. A determinate would start fruiting for an average of a month after average of 75 days after transplanting before it dies while an indeterminate would fruit for an average of 3 to 5 months after average of 75 days after transplanting before it dies. 4.FROM WHO/WHERE DO I GET IT ? For your local seeds, if you like something indigenous and or you are cultivating for subsistence reason or a sectional market, you only need to buy the fresh vegetables for some, dry and extract the seeds. For some others, you need to approach the local farm markets to purchase them. On the other hand; if you want for real profit cultivation whether on a small scale or large, it is advisable you go for OP or hybrids seeds. As there are many companies which produces soft/energy drinks, so there are many companies which produce seeds. Soft/energy drinks seem to be in class of what amount of money you are ready to part with, taste and contents you are looking for. So also are seeds – they are obviously relatively better than another depending on what your preferences are. There are companies common in Nigeria like Technisem seeds company, Seminis seeds company (Division of Mosanto), Continental seeds company, East-West seeds company, Starke Ayres seeds, Premier seeds, Sygenta seeds, Bakkers Brother etc. Even at that, many of these seeds companies have many tons of OP and hybrids seeds produced by the same company. Why? It depends on what you as a farmer/gardener/enthusiast is looking for in the vegetable you intend cultivating: Vigor, Firmness, Maturity days, Shape, To what use, Weight, size, Shelf life, yield, Colour, Resistance to diseases etc. Funny enough, no seed has it all; you have to forfeit one attribute for another. Now that you have choosing your seed(s). 4. HOW DO I START CULTIVATION ? This is a one million dollar question. The first thing you need is the skill and skill can’t be gotten via internet alone, you would probably need the practical knowledge of an experienced farmer to do something. (This is for a person intending to go commercial). But for a subsistence farmer/gardener/enthusiast that is adventurous, you can probably learn on your own since you are expected to do it on a very small size. Surely, you would make a lot of mistakes; ridiculous ones for that matter but you would learn overtime and become the master of your own art. To know more on the question: How do I start cultivation? There are tons of online materials and video you can make use of but if you prefer indigenous knowledge peculiar to Nigeria/West Africa, you can as well follow our series of articles, comments etc on this blog or contact us for any area you which to know more and have not been answered already in all our articles. All the same, most vegetables require nursery preparation, modern best practices implementation, pesticide program, preventive and curative diseases program, fertilizer program etc. We shall threat all these in due cause tailored to most vegetables. 5. WHERE/WHO DO I SELL TO ? Did I not start with this question? Sorry for that. In venturing into vegetable cultivation, understanding the business from market angle is the first step to success. As the saying goes; SELL YOUR PRODUCE BEFORE YOU PLANT THEM. Is this really possible? Does this sound logical? Well, it does. If not, then you might end up eating all the tons of vegetables you cultivate as if that is possible. There are markets as there are demands. 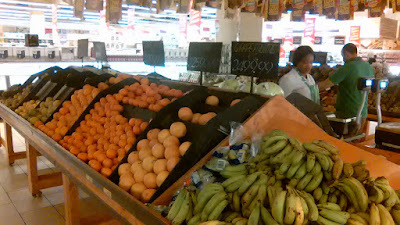 Your market however determines the type of vegetables you want to cultivate, the scale of production, frequency and possibly your profit margin. At the surface; there are professional markets otherwise commonly called standard markets like tomato factories, pepper processing factories, food industries, grocery stores, institutions etc that you can regularly supply under a pre-contractual arrangement. Yet the demand in open locally regulated markets is mouth watering: It could be central urban vegetable markets – Deidei in Abuja, Ilepo/Mile 12 in Lagos, Bodija/Sasa/Benjamin in Ibadan, Total market in Akure, Zuba in Niger state or small time neighboring vegetable retailers.